Fan-favorite writer Jon Tsuei (Comic Book Tattoo) teams up with artist Eric Canete (The End League, Iron Man: Enter the Mandarin) for an all-new thriller/suspense that will hook readers and keep them on the edge of their seats in RUNLOVEKILL, VOL. 1. This collects issues #1-4 into trade paperback and will be available in August. In RUNLOVEKILL, VOL. 1, a mysterious military organization known only as “The Origami,” is on the hunt for one of their former assassins: Rain Oshiro. Their stronghold on the city of Prygat is tightening and Rain has fewer than 24 hours to get out of their radius of influence before she’s trapped forever. Rain must face the decisions of her past while utilizing every last resource at her disposal to avoid capture—or even worse—death. 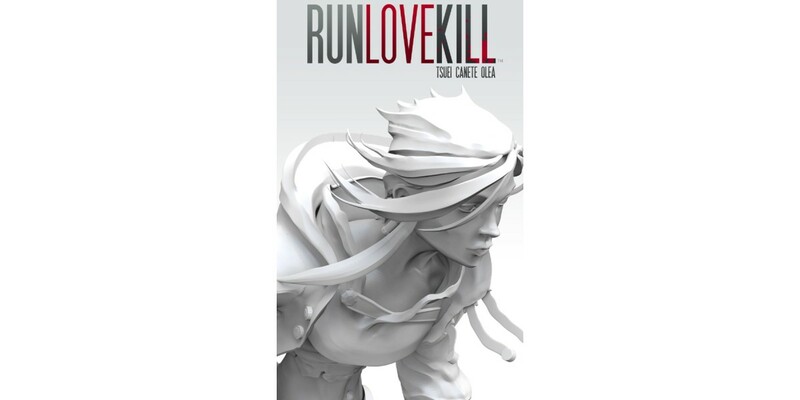 RUNLOVEKILL, VOL. 1 (ISBN: 978-1-63215-445-3) hits comic book stores on August 19th and bookstores on September 1st, and will be available for $9.99. It can be ordered by retailers from Diamond Book Distributors with Diamond Code JUN150554. It can be pre-ordered now on Amazon, Barnes & Noble, and IndieBound.